Since I’m in my last year of university, you might be able to consider me to be somewhat of an expert in all things studying. Whether it’s snacks, flashcards, the perfect ratio of sleep to studying or the best times to hit the library, I may be able to share a few words of wisdom. Mostly, just remember that you will get through it. We are currently right smack in the middle of the wonderful time of the semester that is midterms. Luckily, this year I don’t have any midterm exams (just about 2500 essays to write, which I’m not sure is much better). But I still need to fuel up for those long days or nights writing. When it comes to study snacks, I like to split them into two categories: on-the-go and at-home. When it comes to on-the-go snacks there are two things that I like to keep in mind, where and how long. If I’m heading to the library, crunchy snacks like carrot sticks and celery may not be the best idea, but if I’m heading to a friend’s place for a group study session, they can live with the crunch. 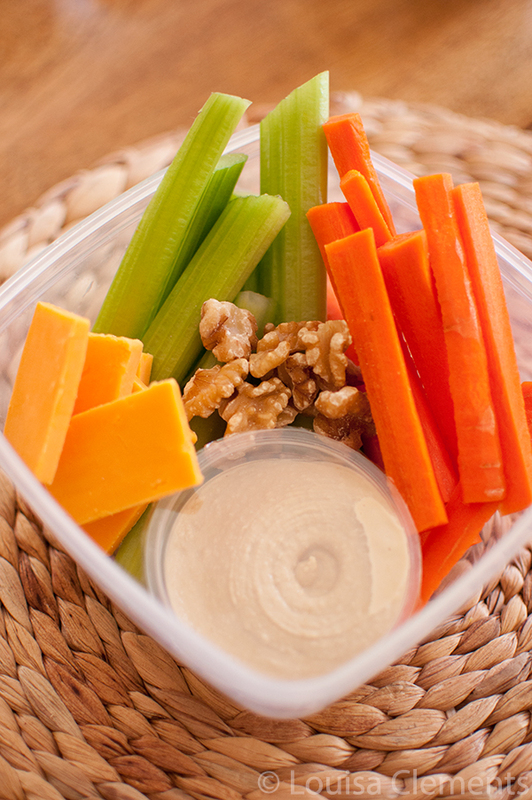 The photo above is a basic example of my go-to snacks, I was lucky because I had PC Plus offers for some of my favourites like the celery, carrots and cheddar cheese. But you can switch this up, I also picked up some bell peppers because I had a personalized offer for them as well. I also like to buy the PC Hummus that comes in a set of four, small pre-packaged containers because it’s easy to pack. And let’s be honest, most students do not have the amount of little Tupperware our parents do at home. I also always add in nuts and cheese because they have lots of protein which will keep your energy levels up for long study sessions. At home there is a little more room for fun and creativity. My newest go-to study snack has been this jazzed up avocado toast. I’ve added tuna (it was on sale at my local No Frills, and got me bonus PC Plus points), spicy sriracha mayonnaise, and chips on top for a little crunch. This really is satisfying in every way food can be. It’s crunchy, salty, spicy and creamy, plus it only takes a few seconds to throw it together then you can head back to your desk. I thought I’d give you a little update on my PC Plus journey so far. I’ve been using it for three weeks now, and I’ve got about 16,000 points. Think about it, if I’m able to get 20,000 points per month, that is saving me $20 on my grocery bill. That’s a pretty significant amount of savings throughout the year. And just imagine how many points you could get if you’re shopping for your family! I don’t know if it’s the nerd in me, but I get so excited for the day when my new offers come in and find using the app on my iPhone to be the most intuitive way to use the program and keep up to date with my balance and offers. 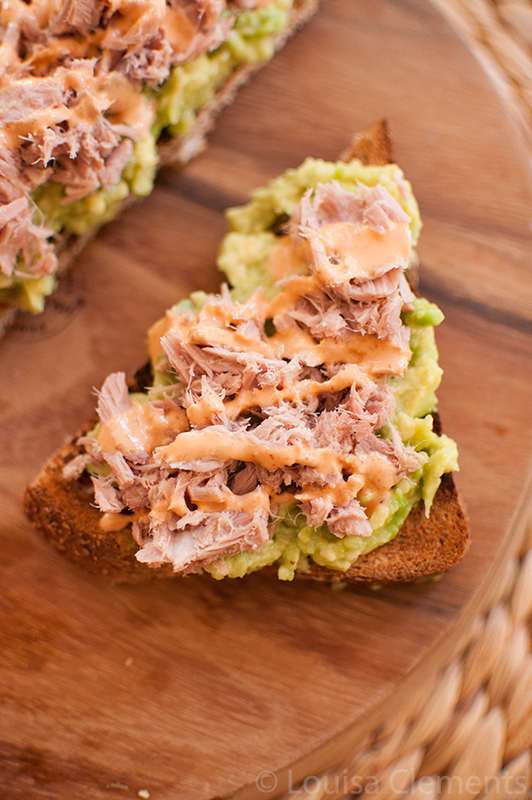 Spread mashed avocado on toast. Whisk together mayonnaise with sriracha (to taste). Disclosure: I was compensated by Loblaw to write this post. All experiences and opinions are 100% my own. Thank you for supporting Living Lou! Ahhh the final year at uni. I know how you feel, sister. And snacks are SO important! Thanks for sharing these, I needed some inspirations for stuff on the go. Thanks Mariana, I cannot wait to be done! 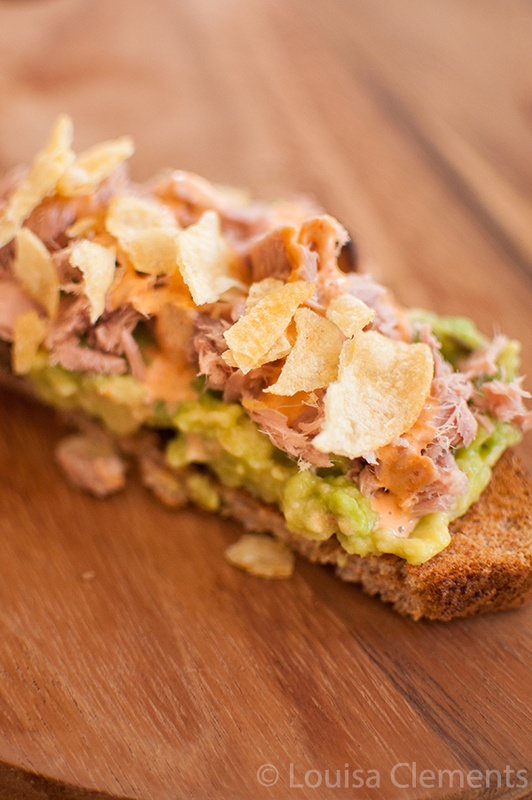 Can't believe I didn't think of this avo and tuna sandwich myself its been my go to all week. Your post on The College Prepster has challenged me to eat all my meals at home this week. Love to hear that, Bailey! I'm so glad, keep it up - you'll feel so much better and save lots of money.